Last week it was leaked that Xiaomi will release two Redmi Note series handsets in July 2015, now Redmi 2 successor leaked online, featuring Snapdragon 808 SoC. This leak was executed by Upleaks and according to the leak the rumoured Xiaomi Redmi series handset will come with model name Xiaomi H3Y and its project name is Hermes. 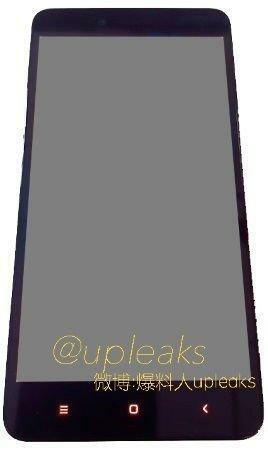 Upleaks has also uploaded a picture of the alleged handset online. Upleaks also revealed the specifications of the Xiaomi H3Y which include a full-HD display with unknow screen size, an octa-core MediaTek MT6795 processor, 2GB of RAM, dual-SIM support, a 13-megapixel rear snapper along with a 5-megapixel front camera. It is said to feature a metallic design and will be running Android 5.0 Lollipop with MIUI 6 on top of it. According to the leaks, the Redmi Note 2 will feature a 5.5-inch HD (720×1280 pixels) display, and Snapdragon 410 (MSM8919) processor, while the Redmi Note 2 Pro will feature a 5.5-inch full-HD (1080×1920 pixels) display, and Snapdragon 615 processor. Both the Xiaomi Redmi Note 2 and Redmi Note 2 Pro were tipped to sport 13-megapixel rear cameras and 5-megapixel front-facing cameras. The roadmap leak suggested that after Mi4i launch in India, Xiaomi will launch Mi4s in June. However, the roadmap had tipped a Snapdragon 810 (MSM8994) for the Mi 4s rather than Snapdragon 808 SoC. However, these leaks can not be taken very seriously as a few kinds of reports are emerging out and Xiaomi has kept their mouth shut about any launch of any new handsets.